With the nor’westers having already set foot in our town, there’s no better way to enjoy the dramatic downpours than to chill with a drink on a rooftop lounge bar. Here’s a list of watering holes that are just perfect. The Astor’s outdoor bar, Deck 88, has a mellow relaxed vibe that is perfect to soak up the dramatic weather. Sit out on the plush chaise lounges on the faux deck that is lined with vertical gardens, and enjoy the winds and rain with a potent mix. Best of all when the rain gets too strong, they open up the waterproof canopy overhead. Alternately, you can sit under the gazebo and enjoy the pitter-patter of the downpour. 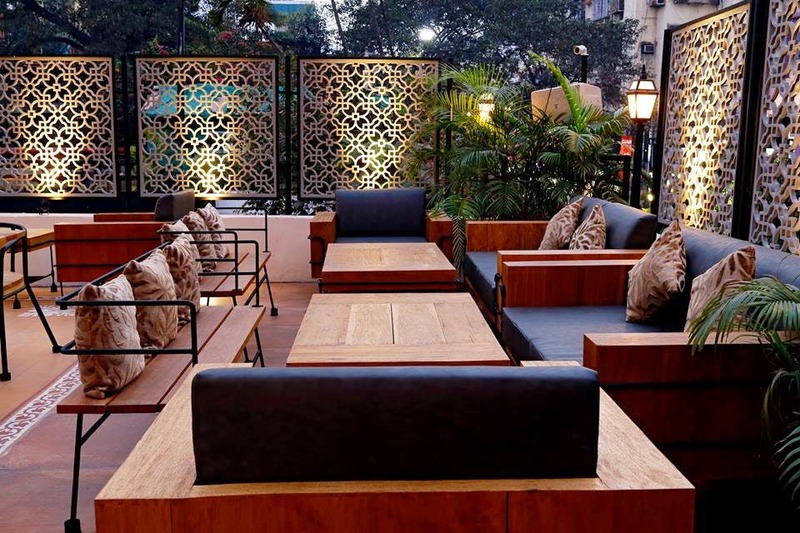 Our go-to watering hole Monkey Bar is just the place to be if you’re looking for some good music, scrumptious food and a potent drink to enjoy the rains and the beautiful view of the cityscape. The wooden interiors, glass walls and the outdoor section in a sky-high location make for an amazing setting to sip on some sangria and experience the thundering rains. Perched atop Senses Hotel in Salt Lake, the Liqua Poolside Bar is another place to hit if you want to enjoy the stormy showers with some heady drink to relax with. What makes this place all the more exciting is the enticing blue pool right at the heart of it. Sit by the pool with a drink and enjoy the cool drizzle pitter-patter on it. And the added bonus, a fantastic view of the surrounding landscape. The upper level of this bar is just the right place to be if you’re in the mood to sip on some heady drink and enjoy the cool misty rain. With the rooftop kept partially open and partially covered by a glass and wood enclosure, you can choose to sit out in the open-air to let the breeze and mist soak you or can opt to stay indoors and watch the rain clouds play out. The kitschy laid-back vibe of the place is perf for a relaxed evening, and don’t forget to try out their popular drink of Scrappy Passion. Ozora’s breathtaking view of the city skyline is too good to give a miss if you are looking for some place to enjoy the chilly rains and a good drink. Sit indoors within the glass walls or outdoor under the open sky, this place has an amazing combination of good view and trippy experience. House music and good food makes the good vibe even better for a rain-soaked evening. And photography is your mojo, then take out your phone and go snap snap for some incredible pics because this place affords quite a view of the cityscape. This stylish and trendy terrace bar is trippy af for an evening of thunder and rain. Sitting perched on Aauris Hotel, this uber chic terrace bar is literally lit! Enjoy a stiff drink or a cool mix and team it up with some delectable grills to enjoy the brewing storm outside.